Coming back here has made me realize how insane the drivers are in Hong Kong. It takes as much guts to walk down the street as it does to drive, back there. The people with cars are amazing at maneuvers, and there’s a lot of forcing into lines since people will generally not let someone in (although it’s much, much worse in China). I think I understand the basis behind the entire bad Chinese driver stereotype; since the cost of owning a car is very high (gas prices are three times as expensive than they are here, parking is pricey and not even a guaranteed spot), people never learn how to drive until they leave Hong Kong. However, at this point, they’re too old to really become good at driving, and follow the more aggressive rules of the road they grew up with. I can now shave perfectly without a mirror. 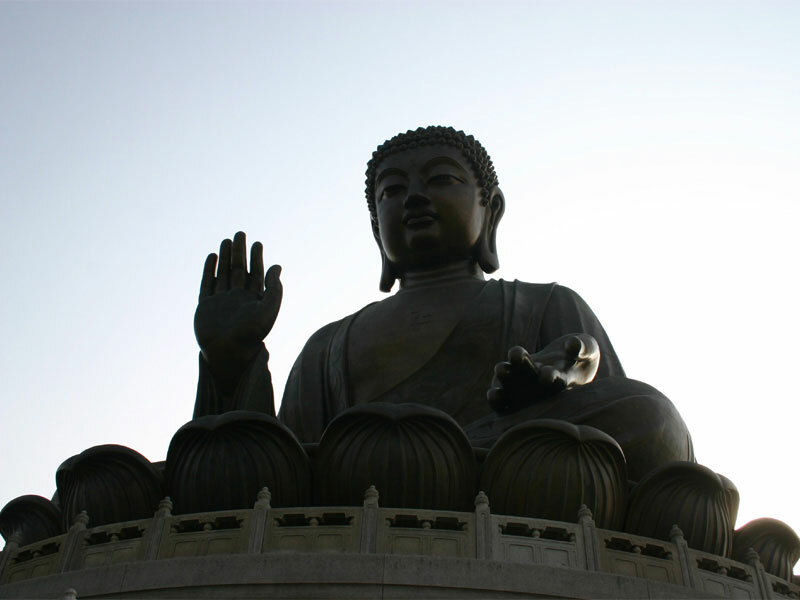 A look at the worlds largest bronze Buddha located in Hong Kong. It’s perched at the top of a mountain range, and can be seen from extremely far away. As one drives up to the mountain, the outline is visible against the sky from an hour away. It’s an amazing piece of construction; the inside is hollow, where people can set up longevity tablets, and there are three floors of Buddhist murals. Some of the best feng shui in Hong Kong is in that area. This is where every store has a set of Christmas lights, thousands of sparks dangling from the awnings. This is where the subway is packed with people, all wearing their party clothes, trying to meet up with their friends and family. Where the cross harbour buildings have gigantic, moving pictures on their sides, created from intricately set lights and timers. Where there’s euphoria in the air and shopping bags in hand. This is where the jewellery store guards have traded in their berets for santa hats. This is Christmas in Hong Kong. Going to take a trip to Macau for two days. It’s another colony of China like Hong Kong, although it was formerly Portugese, and they also speak Cantonese there. I’m getting there by ship.